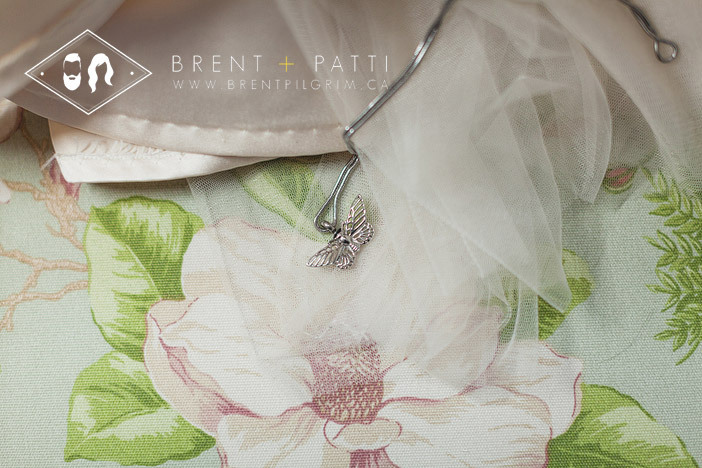 Patrizia’s grandmother helped to pin a butterfly charm inside of her dress. It was to keep the memory of her grandfather close to her throughout her wedding day, watching over her. Even if he had already left this world, in Patrizia’s heart he walked with her everyday, still loved, still very dear. 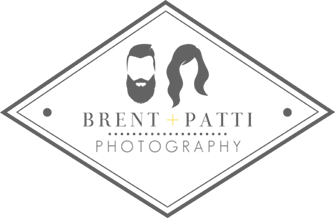 And after the clasp of the pin was closed, her grandmother hugged and kissed the little girl she has known for many years, now all grown up leading a life that has brought her to this – a day to celebrate love with her daughters and Daniel. Good luck in the form of rain poured from the sky as Daniel overlooked the ceremony site. He and his groomsmen greeted guests as they arrived under the cover of the tent over the reception patio. But, soon after a celebratory cheers and drink, the rain stopped, the sun broke through – all as if it was intended. Along the banks of the creek flowing behind them on the grounds of the Terra Cotta Inn in front of their family and friends, Patrizia and Daniel made a promise, planted a tree and held onto each other during a handfasting ceremony before walking down the aisle of flower petals as husband and wife. 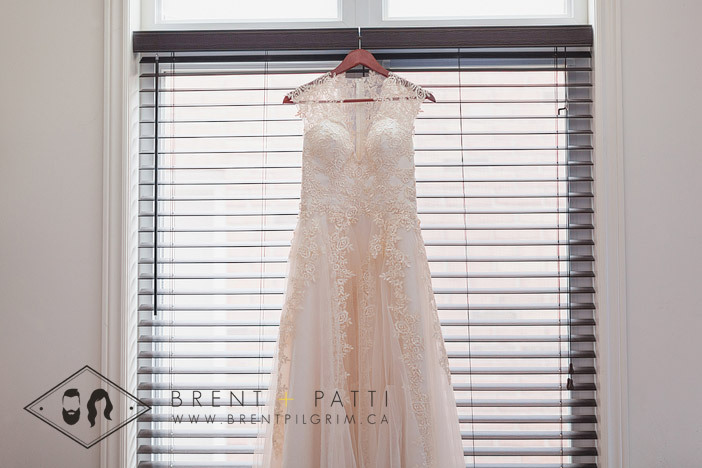 Patrizia+Daniel – it is our honour to have had you share your story with us, laugh like friends with us, and to witness what you mean to each other now and forever! …and the way he looks at her! Their job may have seemed simple, but they mean the world to her. A great group to stand beside.